1. 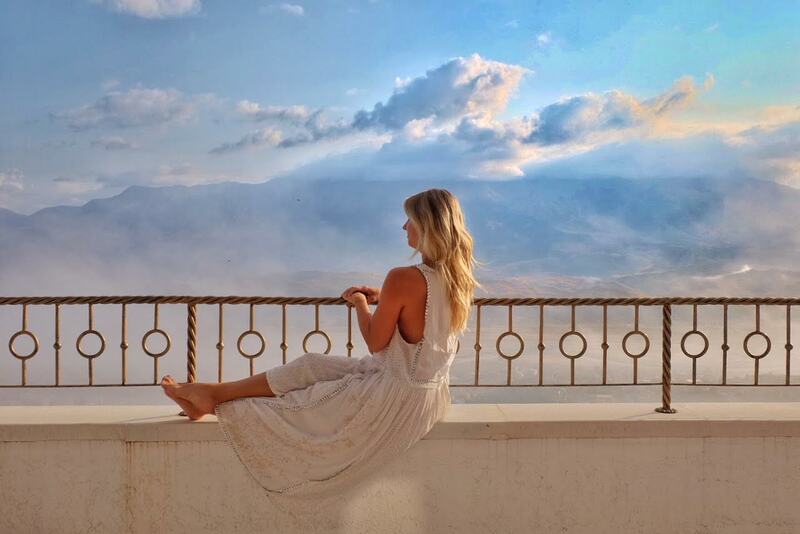 It’s a Bargain: The five-star hotels in every region in Albania were under $100 a night. A multi-course feast with wine came to about $10-15 a person in every restaurant. My SIM card for a week of unlimited calls and data was $3. The country is a bargain! 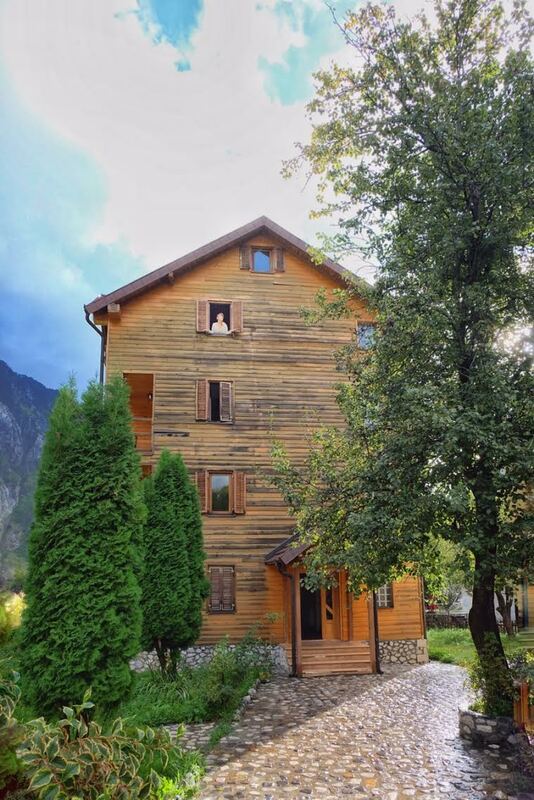 On the Albanian Riveria, you are essentially seeing the same scenery as you would in the Positano or the Greek Islands, at a fraction of the cost. Inland, you can experience Norwegian-class hiking and Swiss-inspired Alpine towns without breaking the bank. This is the perfect spot for any budget traveler, backpacker, or someone looking to travel in style without the splurge. 2. It’s Unchanged: Albania’s not on Instagram. Yet. It’s not westernized, and not exactly modernized. There’s no Starbucks, or McDonalds. There’s no reliable public transportation. Best of all, there’s very little tourism. This means you are seeing an authentic country with a rich history, just the way it was. 3. Ancient Villages: Imagine Oia, Le Baux, or the Cotswold before the crowds came. Ancient hilltop villages exist in Albania that are over 1,000 years old. There are no cafes, no shops selling magnets, and no tourists. These villages are real and raw, and you’ll melt over each one. You and you alone! 4. Incredible Nature: I was stunned by the variety of terrain in Albania. Off the coast felt like New Zealand, Norway, and Switzerland rolled into one. There are beaches, mountains, canyons, valleys, rivers, and lakes to wow you. Adventurers will have their pick of things to do: you can cycle, hike, paraglide, and zip-line. This is a great place to have a vacation that is half relaxation, half adventure, without having to drive more than a few hours to achieve both. 5. Pristine Beaches: Corfu is a 30-minute ferry ride across the Ionian Sea. So, you’re sharing the same stretch of beach as the Greek Islands. The Albanian Riviera near Dhermi and Sarande has a stretch of pebbly white beach that is among the loveliest I’ve seen in the Med. The best news? You won’t be paying for sunbeds, booking ahead for cabanas, or ordering overpriced cocktails while you lounge. You’ll probably have the place to yourself. 6. Farm-to-table Dining: If it’s not in season, you won’t find it on a menu in Albania. I could actually taste the freshness and quality of every item on my plate each day. Albania is king of farm-to-table cuisine, because people there all still grow their own food. You’ll eat fruit off the vine, meat from the farm, and homemade everything, everywhere you go. Even the wine! I was served fish, and then shown the boat that caught it earlier that day. I felt like every meal took place at Blue Hill at Stone Barns. And everything is so fresh and free from preservatives and chemicals, after a week of pigging out, I had actually lost a couple pounds. 7. Incredible History: I decided on Albania when I realized where it was on the map. It’s considered part of the Balkans but is bordered by Greece and Montenegro, with Italy just across the Ionian Sea. The land used to be Elyria, which is just as rich with history as its neighbors. 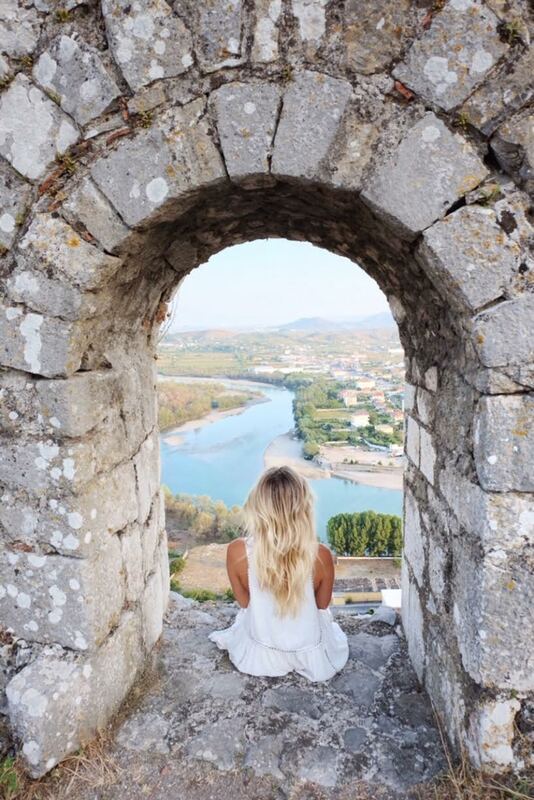 You’ll see 5,000-year-old ruins, Ottoman architecture, roads crossed by Alexander the Great, ancient castles, and hilltop villages; Albania has it all. But unlike its neighbors, it’s unspoiled, unrestored, and uncharted. 8. Warm People: Since tourism is new, people embrace and appreciate you being there. In my travels I’ve had encounters with locals who are not happy to have their villages and town overrun with tourists. I’ve sometimes felt unwelcome. This will never be the case in Albania. When locals realize that of everywhere in the world, you’ve chosen to come to their country – they are overwhelmed with pride, and want nothing more than to help you and make your trip wonderful. This is not a dangerous place; the people are kind, friendly, and welcome you with open arms. 9. 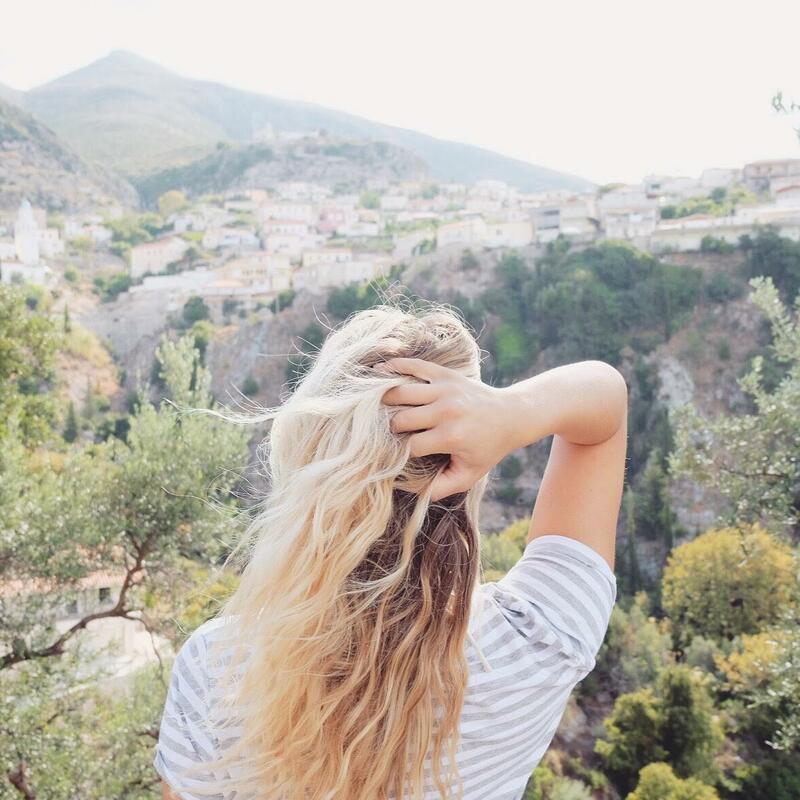 UNESCO World Heritage Sites: The cities of Berat and Gjrokaster are both UNESCO World Heritage Sites that you’ve never heard of, and will blow you away. They are within a few hours of each other, so you can easily see both and marvel at the fact that no one else is there. 10. No Trip Planning Required: Before most of my trips, I drive myself crazy researching hotels, restaurants, places to see, coffee shops, and boutiques. Sometimes, by the time I get my destination, I’m exhausted from the planning. Then I have to grab a map and learn my way around. Not so in Albania! Thanks to Limitless Albania, for once I put my feet up and let someone else do the work! This country is SO uncharted, I definitely needed a local expert to help me plan the week out. I put my complete trust in Fatmir – from where to eat to where to sleep, and I have never had a less stressful trip. 11. You’ll Be Surprised: When was the last time you went somewhere truly not knowing what to expect? Maybe you’ve never been to Cinque Terre, but you’ve already seen every inch of it captured and hashtagged on Instagram. Experiencing a place for yourself is of course, different, but you already know what it’s going to look like, maybe even what you’re going to eat and where. In Albania, every day will be an adventure. You haven’t seen these vistas pictured, posed, and geotagged. You haven’t heard of these restaurants or hotels (and hopefully you won’t for a very long time). So go explore uncharted territory while you still can! 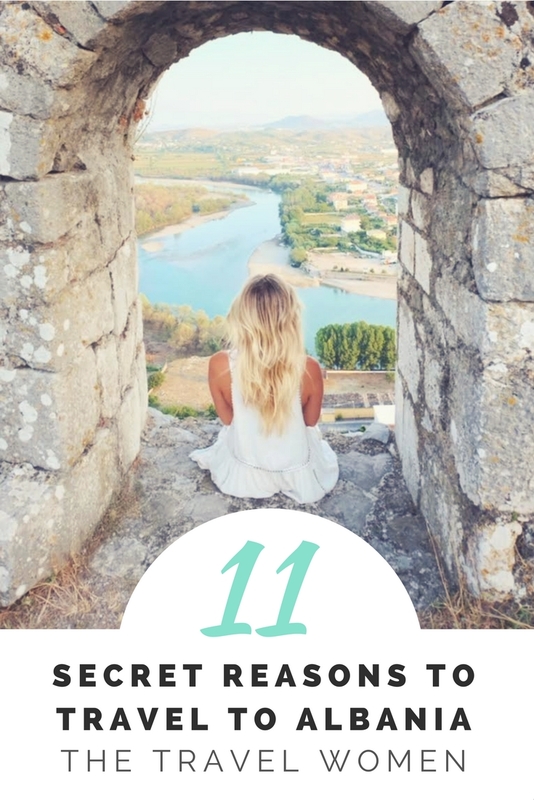 What surprised you most about our 11 Reasons to Travel to Albania? Comment below! Read our interview with Anna Kloots, our senior contributor, and more by Anna here. Read next: 18 Trips for 2018 and Guide to Iceland. I really enjoyed this article. I’m Albanian and I live in NY. I will visit this coming summer with my family. I haven’t been there in almost 10 years. I’m super excited. Thank you for this lovely article. Continue to explore and live life to the fullest! Amazing, I’m also based in NY and am already looking forward to heading back to Albania, thank you so much! Great review. Albania is a must go for every tourist, beside being ridiculously cheap, everything is authentic and you feel closer to nature, history and humanity itself. Food is all natural and resorts are all run by locals. The diet is very healthy and it is sunny, that’s why people are so friendly and positive, even though not rich. I think that makes them naive in the good way. Away from stress and everything bad civilization has created. People speak more than two languages, mostly English, Italian and Greek but I wouldn’t be surprised if you met an Albanian who can speak Chinese or German. 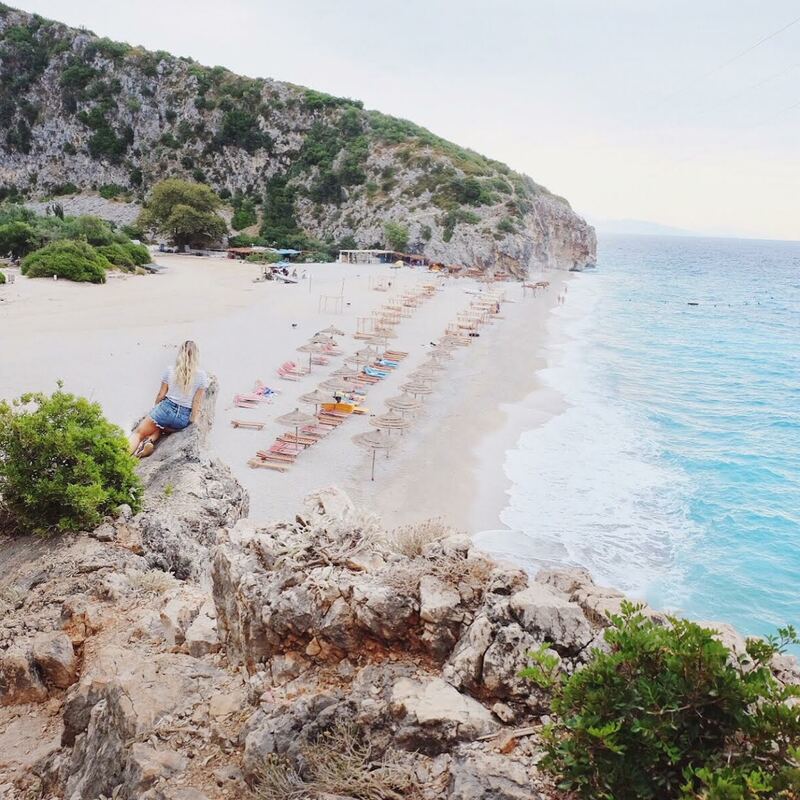 Thank you so much for reading and sharing more about amazing Albania, makes us want to plan another trip back ASAP! Nice article and thanks for writing and visiting my country. A lovely, nearly accurate sincere and inviting story! Visit Albania this summer. You will want to come back for sure. Thank you so much, yes Albania is lovely in summer! Already planning a trip back! My parents were born there, came to the US as children in the late 1930s. We all grew up in NYC. I finally went with my mother, aunt and family friend several years ago and it was an amazing time for all of us. I met family I had only ever heard about, saw the birth places of my mother and grandmother and soaked up all of what you describe. It is an amazing and beautiful place and I hope to go back again. Thank you for the great article and kind words. Going there again after 19 years!! Tirana, Kruja, Lehze, Vlora, Llogara, Dhërmi, Himare and Berat. Good article and good to read it is still in many ways as it was allmost 20 years ago! Oh so glad for you, have a wonderful trip, thank you so much! I grew up in Albania and lived there for few decades. Missed the beautiful beaches and the smell of fresh fish. After 17 years I decided to go back this summer; my boys are begging me to see Albania. Finally I’m glad something positive is written about Albania. This place deserves more attention and more respect, well written. “Albania is king of farm-to-table cuisine, because people there all still grow their own food.” This is so true and it is advantage of this promising neighbour country. My recommendation for the slow food restaurant Mrizi i Zanave ( I hope i write it good). Oh so glad you agree and thank you so much for the slow food restaurant recommendation! Albania a natural beauty in such abundance, small but different! Albania has got the best beaches in all of Europe. The stony beaches make the water a gorgeous, crystal-clear turquoise that feels like your real life has been Photoshopped. Above all, Albania is never boring. No matter where you go in the country. I hope you get a chance to go soon! Thank you so much really love your perfect description. Albania is such a gem! Oh wow, yes such a great country, thank you! This is awesome. I will definitely make it a point to visit Albania when I return to Europe in 2020 🙂 Thanks for all the wonderful tips! 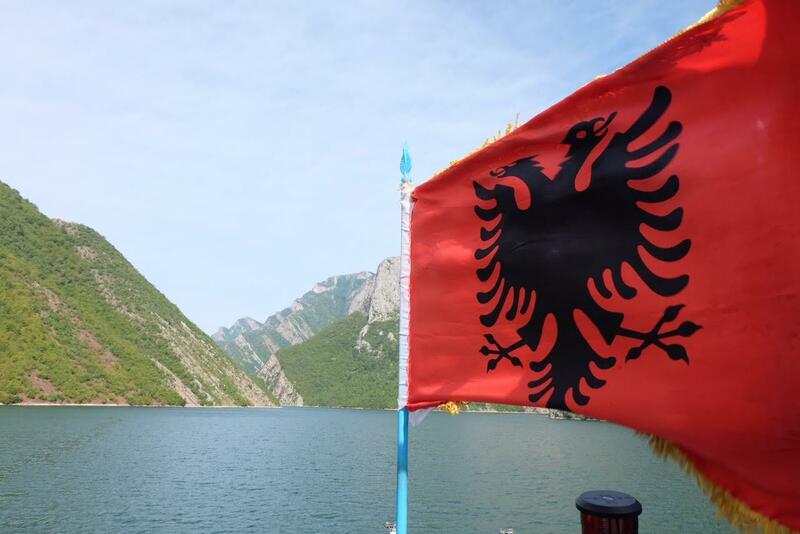 I liked the post… I have thought to go sightseeing again in the regions of Albania this month! One of the things I like most about this region are the rich places for sightseeing and entertainment and besides these buildings and houses reminds me of many movies… really is a wonderful place to visit in the summer season. I’ve met some regions of this country, and actually cooking has left me with water in my mouth. The city has restaurants with very tasty menus and also has great places for family outing. Thank you for sharing your experience with us about this country. Secrete reasons to travel in the Albania really attract me. Good sharing of the personal experience in the Albania visit.